Durham face painting for all events. Hire your very own face painter at low rates. Great for birthday parties, schools, churches, or any event. Ranked #1 with 10 years experience. Highly trained artists. Check out my pics and call me to book . Mention this ad for FREE balloon animals! Durham Face Painting and Face Painting Durham NC for Face Painter Durham with Durham NC Face Painter. My team offers amazing designs and top quality work. I can send you plenty of pictures of our work! 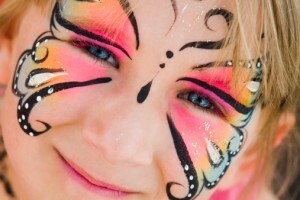 Durham Face painter or Durham Face Painting serves all of North Carolina. Durham Face Painting at affordable prices. When you want to add color to your event book this Durham Face Painter. Give us a call 919-266-1682. Best Rates for Face painting in Durham. 5 star rating as a Durham Face painter. From small designs to full face painting. 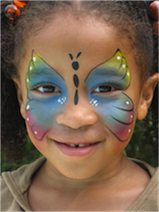 Add color and fun to your big celebration with Durham Face painting. Are you looking for a Durham Face Painter? Magic by David and CO. now offers face painting and balloon twisting. For any occasion this Durham face painter will make your event unforgettable. Great for birthday parties. It’s a must for your festival. Perfect for schools and churches. Anyone needing Face Painting in Durham North Carolina give Magic by David and CO. a call. This Durham N.C. Face Painter can be reached at 919-266-1682. Make your tot’s big day an explosive celebration! Bring some magical fun to your kid’s next birthday bash with unlimited face painting and balloon twisting! One of Magic by David’s entertainment wizards will “appear” to amuse and delight for one hour of your kids party. Longer for schools, church events, or festivals. Imagine the veritable menagerie of critters who will populate your child’s birthday party! Not to mention the smiling faces of all the little party animals in attendance, painted specially for the occasion. Get out that camera, Mom…you’re about to experience a cuteness-overload! So when you need Durham Face Painters look no further. Hire the Durham N.C Face Painter and Balloon Twister at a low cost. Durham Face Painters for Durham Face painting for birthday parties or special occasions.